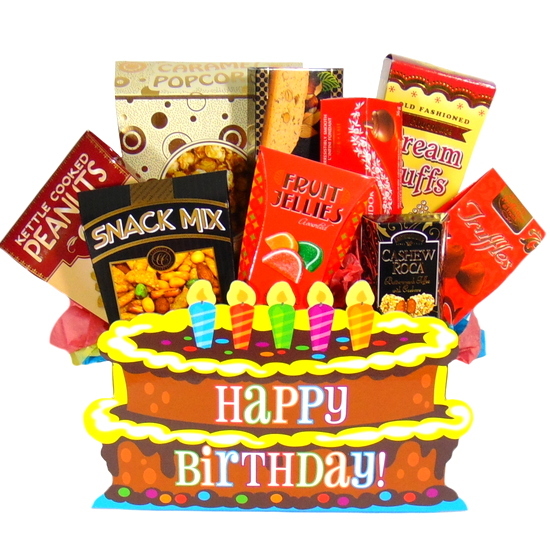 Birthday cake gift box is an open cake gift box filled with snacks and sweets. Surprise someone special on their birthday with Free Toronto hand delivery. 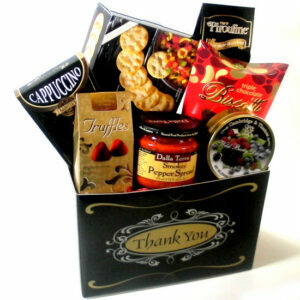 Happy Birthday wish will be delivered with this gourmet food gift basket. Birthday gift basket. Cake image on gift box with red, blue, green and orange birthday candles. Surprise someone special on their birthday with goodies and snacks to enjoy on their special day. 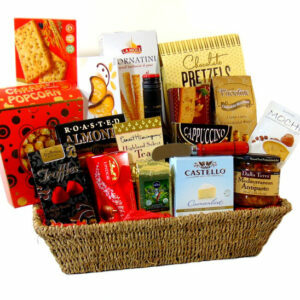 Send best wishes with this Birthday Gift Basket to the recipient’s home or office. 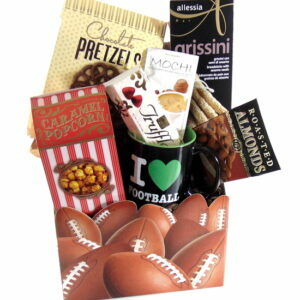 Happy Birthday gift box filled with goodies, snacks, Chocolates, Candies, Cookies to enjoy their special day.